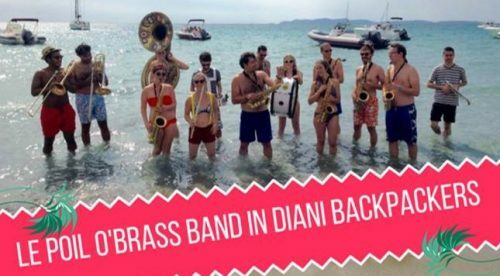 Concert au Diani Backpakers | Le Poil O' Brass band, Fanfare Paris ! Drinks & Live music au Diani Backpackers ! The Diani Backpackers is pleased to welcome the POBB from Paris who is coming to Kenya and kindly offered to hold a little concert on Wednesday 8th August ! Join us for some drinks, live music and fun times !